Very Good. 2009. Reprint. Paperback. 8vo. Very good copy.....We ship daily from our warehouse. Very Good. A brave, dramatic novel set by the author of The Passion of Alice, longlisted for the Orange Prize. Trade paperback (US). Glued binding. 196 p.
Good. 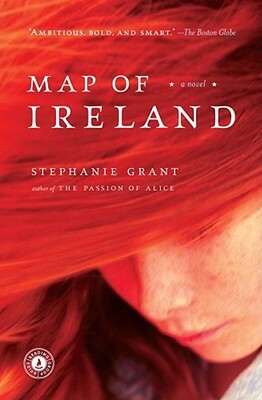 Map of Ireland by Grant, Stephanie. Glued binding. Paper over boards. With dust jacket. 197 p.
Like New. NEW and UNREAD hardcover with DJ, from bookstore stock. May contain a price sticker. ; 100% Satisfaction Guaranteed! Ships same or next business day!